The American Prize is pleased to announce SEMI-FINALIST men in opera for 2016, The FRIEDRICH and VIRGINIA SCHORR MEMORIAL AWARD in VOICE. Congratulations! As the contests unfold, finalists, runners-up and winners will be selected from this list. To know the exact date when finalists will be announced, please like our Facebook page or follow us on Twitter #AmericanPrize, where that information will be published first. "Great News! I've just been selected as a semi-finalist in the (blank) division of The American Prize national non-profit competitions in the performing arts. Here's the link: (copy link here). The American Prize will be announcing finalists in my division later in the summer. You can learn more about this prestigious national competition here: www.theamericanprize.org or follow the news on Facebook: https://www.facebook.com/pages/The-American-Prize-celebrating-American-excellence-in-the-arts/214320622728 or Twitter: https://twitter.com/americanprize "
David Katz, chief judge of The American Prize, recently reviewed Anshel Brusilow's "Shoot the Conductor: Too Close to Monteux, Szell and Ormandy," for his colleagues on the OrchestraList and in the College Music Directors Association. We are happy to reprint it here as a recommended mid-summer read. 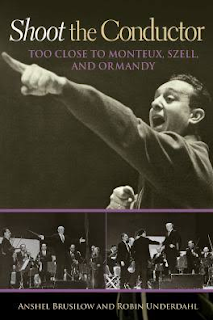 I have just finished reading *Shoot the Conductor: too close to Monteux, Szell and Ormandy,* by Anshel Brusilow and Robin Underdahl, published last year by University of North Texas Press. Despite the politically incorrect title, no physical violence is in store, and should any conductor feel himself in a gunman's proverbial cross-hairs, the author would surely be one: fully a third of the book has to do with his own conducting career. For those of you who don't know Brusilow, he had an extraordinary life in music. Violin student at Curtis, trained in conducting at Monteux's summer school in Maine…the same school Charles Bruck inherited…then assistant concertmaster of the Cleveland Orchestra under Szell, where he shared a stand with, my god, Joseph Gingold, then concertmaster of the Philadelphia Orchestra under Ormandy, completing his career as music director of a number of orchestras, including the Dallas Symphony. Despite the provocative subtitle, Brusilow has nothing but praise for the extraordinary musical gifts of the three legendary maestros with whom he had extended contact. Personally, he has some less good things to say. Of the three, Monteux, surprisingly, comes off the worst. 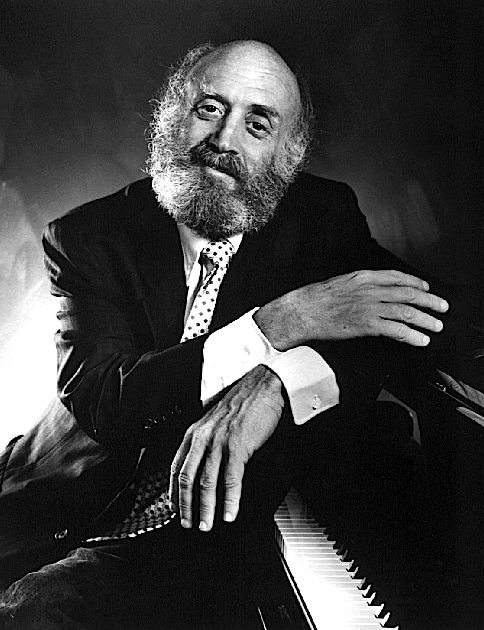 After the author chose love and marriage AND music instead of music alone, Monteux and his wife Doris cut off all ties, and all musical opportunities, including concerto appearances with major orchestras…a slight that clearly still stings, although it happened more than seventy years ago. Ormandy, for his part, felt threatened by the author's podium aspirations and made life difficult, intervening with major managements to prevent him from hiring premiere soloists for his chamber orchestra in the so-called City of Brotherly Love. That rancor continued for years, up until Ormandy delivered a nasty snub at a retirement party to which Brusilow had been invited as a special guest. As for Szell, he threw plenty of tantrums, but for anyone who has read Samuel Antek's *This was Toscanini,* or, indeed studied with Bruck, or any number of other Eastern European fire-breathers, they come off as pretty mild. Mild, in fact, is one general criticism of the volume. There are some wonderful stories, but one misses learning much about specific experiences of the hundreds of concerts in which the author participated as leader, or any real sense of the performing styles, or indeed, the differences in feeling and technique, being led by three such great, and different, practitioners of the conductor's art. The book seems to be aimed at a general readership. With a little more meat on its bones, it could have also better served those more musically experienced and knowledgeable. *Shoot the Conductor* comes off as not so much dumbed-down as a bit thin. What meat there is is choice: a telling discussion with Stravinsky about the merits of the rebarring of *Rite of Spring,* and Brusilow's painful firing, for apparently no serious cause other than board politics, from the post in Dallas. The author had displayed plenty of ego throughout his life, but when that ego is bruised, and publicly, as it was in Texas, and for no artistic reason, it clearly leaves wounds, wounds that scab over, but don't ever really heal. Brusilow ended his career as orchestra director at a number of major universities and colleges in Texas, where he was apparently remarkably successful molding young musicians. He finds satisfaction, considerable pride and a modicum of peace in these positions. His depth of experience must have been a great boon to his students. Brusilow's was an eventful life, the kind of life that Thomas Beecham, another conductor turned writer, knew was not all pealing bells and glory, but rather, something much more interesting, a mingled chime. The American Prize is pleased to announce SEMI-FINALIST chamber music ensembles for 2016 in all divisions. Congratulations! As the contests unfold, finalists, runners-up and winners will be selected from these lists. To know the exact date when finalists will be announced, please like our Facebook page or follow us on Twitter #AmericanPrize, where that information will be published first. Semi-finalists are listed by ensemble name, by contact person in alphabetical order, and by city and state. The American Prize is pleased to announce SEMI-FINALIST chamber music ensembles for 2016 in college/university and high school divisions. Congratulations! (The professional division will be published separately.) As the contests unfold, finalists, runners-up and winners will be selected from these lists. To know the exact date when finalists will be announced, please like our Facebook page or follow us on Twitter #AmericanPrize, where that information will be published first. The American Prize is pleased to announce an impressive list of 2016 SEMI-FINALIST pianists in all SOLO divisions. Congratulations! 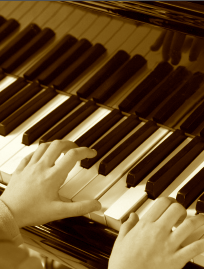 The American Prize is pleased to announce an impressive list of 2016 SEMI-FINALIST pianists in the college/university and high school SOLO divisions. (Professional division will follow separately.) Congratulations! The American Prize is pleased to announce SEMI-FINALIST pianists for 2016 in the CONCERTO division, The LORIN HOLLANDER AWARD. Congratulations! As the contests unfold, finalists, runners-up and winners will be selected from this list. To know the exact date when finalists will be announced, please like our Facebook page or follow us on Twitter #AmericanPrize, where that information will be published first. The American Prize is pleased to announce SEMI-FINALIST instrumental soloists for 2016. Congratulations! As the contests unfold, finalists, runners-up and winners will be selected from this list. To know the exact date when finalists will be announced, please like our Facebook page or follow us on Twitter #AmericanPrize, where that information will be published first.